Happy Friday! I hope you all have warm and cozy weekend plans ahead of you! This cold weather has been brutal! Cue, the layers! 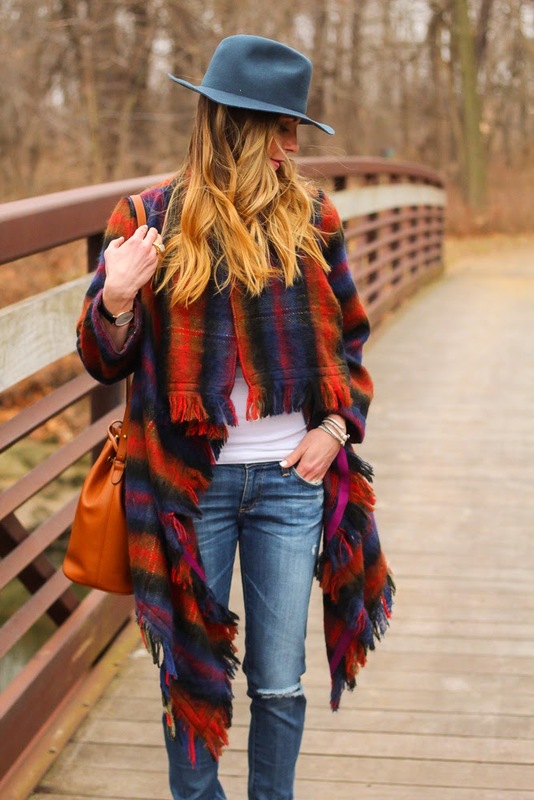 This Tartan Blanket Coat from Anthropologie is perfect for just that. It’s so cozy and I love the fringe detail. 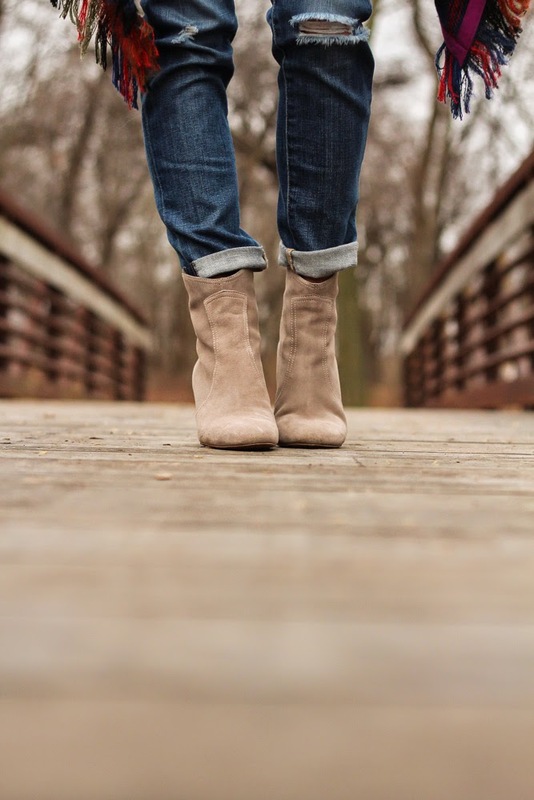 I layered it over a long sleeve thermal and paired with my favorite distressed jeans and booties. The usual! The booties are simply superb. I became a loyal customer of Nine West lately:) The blanket coat is lovely – the colors are so vibrant!